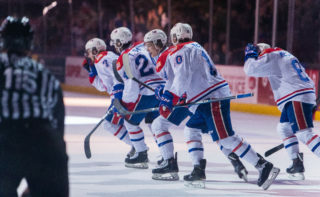 KENT, Wash. – The Seattle Thunderbirds rallied from a 4-2 third period deficit with three goals in the final frame to come from behind to beat the Spokane Chiefs, 5-4 Friday night in Kent. 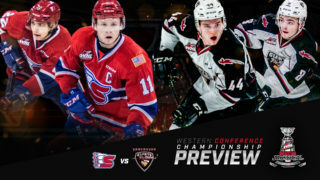 With the loss, Spokane dropped to fourth place in the U.S. Division, one point back of Tri-City. The season series with the Thunderbirds is now even at 2-2. Seattle took a 1-0 lead after one on a Nolan Volcan goal late in the period, as Spokane outshot Seattle 11-5 in the first. 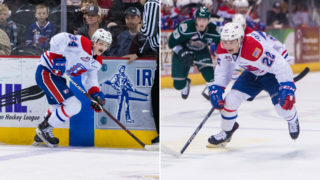 The Chiefs would pull even at 1-1 just over two minutes into the second period when Riley Woods scored his 15th of the season. Woods has now scored goals in four-straight games and points in seven straight. Spokane would take their first lead when Jaret Anderson-Dolan scored his team leading 18th goal of the season on a breakaway at 17:34 to make it 2-1 Chiefs. Seattle would tie the game at 2-2 on a controversial goal that was originally waved off after Noah Philp had interfered with goalie Donovan Buskey at 18:01. 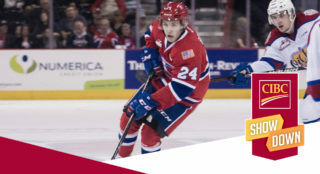 The Chiefs would re-take the lead just 22 seconds later as Woods potted his second tally of the night to give Spokane a 3-2 lead. 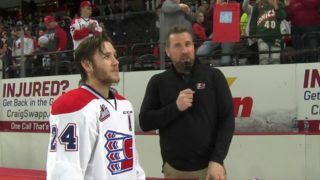 Spokane would then take a two goal lead to the intermission when Eli Zummack scored on a shorthanded goal with just 35 seconds remaining to make it 4-2 Chiefs after two. Seattle cut the lead to one with a goal 1:43 into the third to leave the score 4-3. The Thunderbirds then tied the game midway through the period on a tip netfront after a Spokane turnover in their zone to make it 4-4. Seattle would cap the comeback as Turner Ottenbreit scored off an odd man rush at 11:49 to win it 5-4. Spokane outshot Seattle 33-26 in the game, going 0-for-1 on the power play and 2-for-2 on the penalty kill. 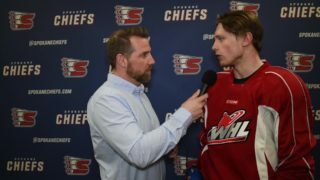 The Chiefs return home to open another home-and-home series in the division as they host the Tri-City Americans on Saturday at 7:05 p.m. Mike Boyle will have the call on 94.1 FM The Bear starting with the pre-game show at 6:30 p.m.
Tickets for Saturday night’s Coeur d’Alene Casino Buck Night and all Chiefs home games are available in-person at the Chiefs’ Ticket Office, over the phone at 509-535-PUCK and online at spokanechiefs.com.